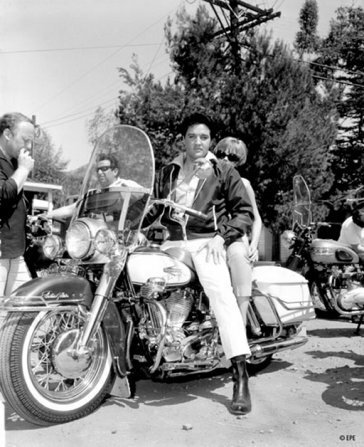 By February of 1966 Elvis was back in California and began production on his 22nd film, Spinout. 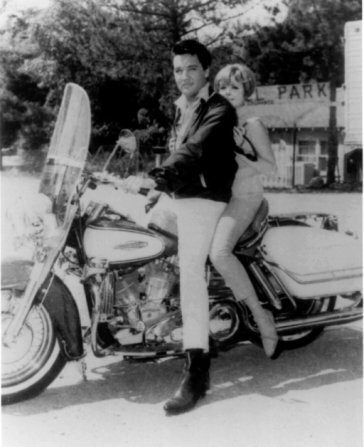 Around this time he acquired another 1966 Electra-Glide and more than a few photos exist of him with it and his entourage and co-star Deborah Walley riding in the Malibou Lake area and Cornell, CA where several scenes of the film were shot. 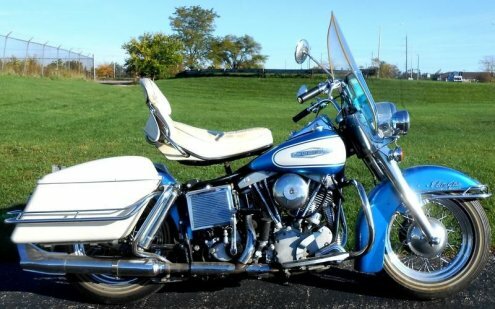 This bike had a tinted windshield also and chromed primary case cover. No one asked seems to remember the color of it, but the seat appears to be a tan or possibly brown, unlike the more common white, black or combination. 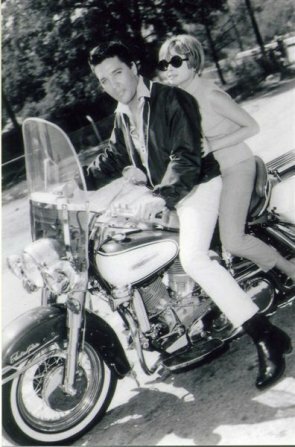 Elvis was pictured riding the same '66 Electra-Glide later that year with, reputedly, singer Johnny Rivers and others. Oddly Johnny was reported to have fallen out of graces with Elvis in 1964. The story is told that while Johnny was formerly friends and a frequent visitor of his, Elvis played him a version of Chuck Berry's Memphis Tennessee which was to be his next release and then Johnny recorded and released his version first. 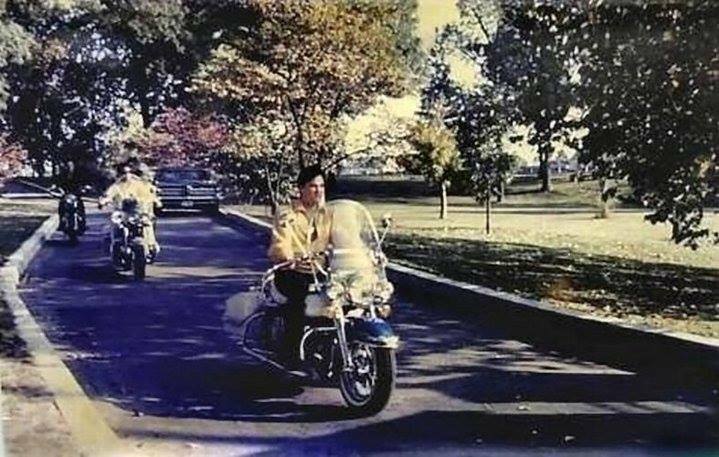 Peter Guralnick wrote that after that Elvis felt betrayed and didn't care to see him around.1 If that is in fact the case, then the pictures would suggest that by 1966 he was either not as persona non grata as had been stated or that's not Johnny in the pictures. 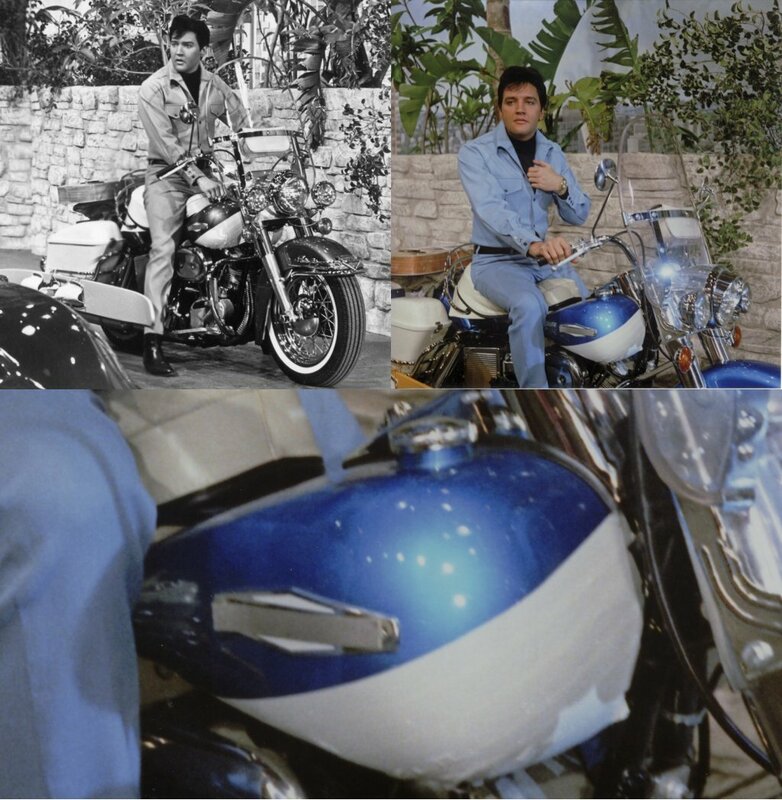 In 1967 Elvis began filming Clambake, his 27th film, and in it he is pictured riding a 1967 FLH Electra-Glide. 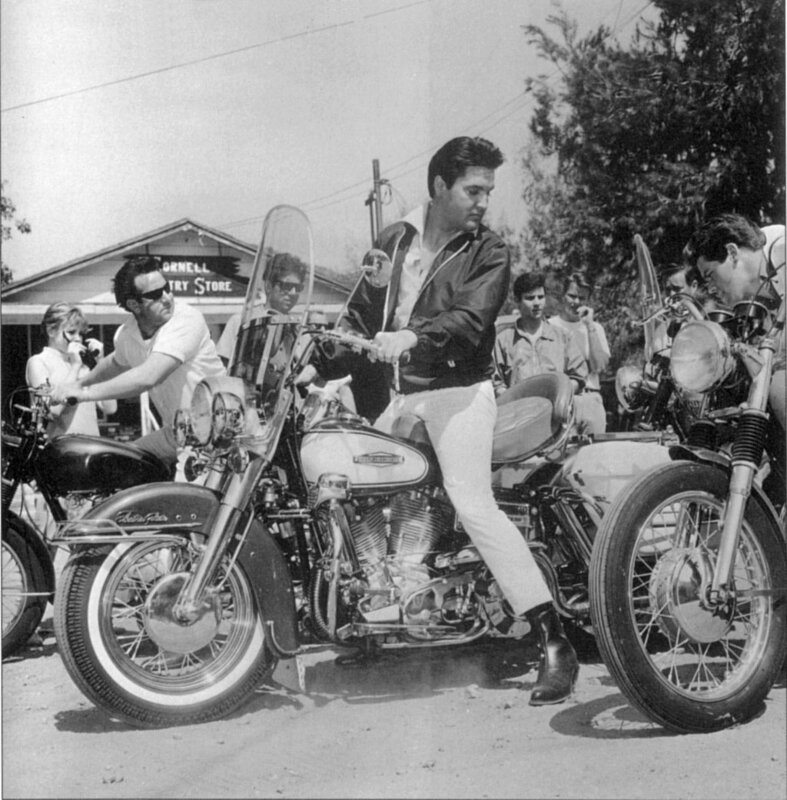 Unlike many of the vehicles, guitars and props he used in his films, this was not believed to be one of his own or to go home with him after. 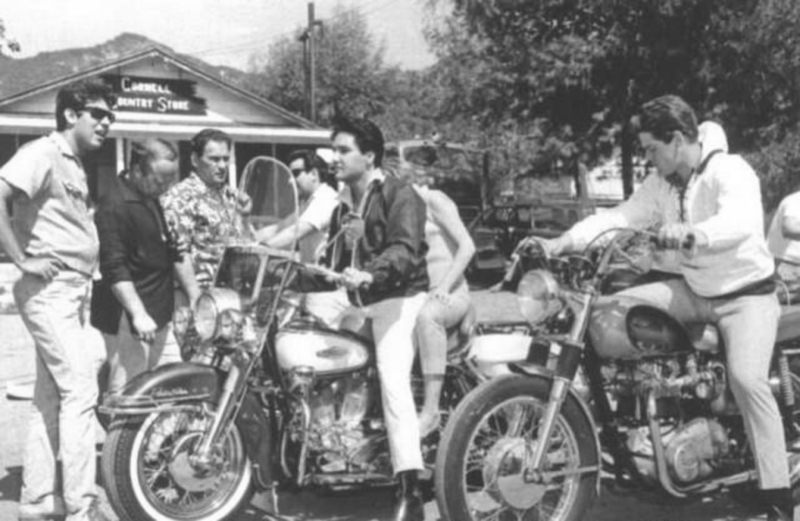 It is, however, interesting to note some of the things about it while doing the history of his motorcycles. For some strange reason, possibly to cover up some damage, they simulated a two-tone paint scheme on the tank with white adhesive tape applied to the front and bottom. 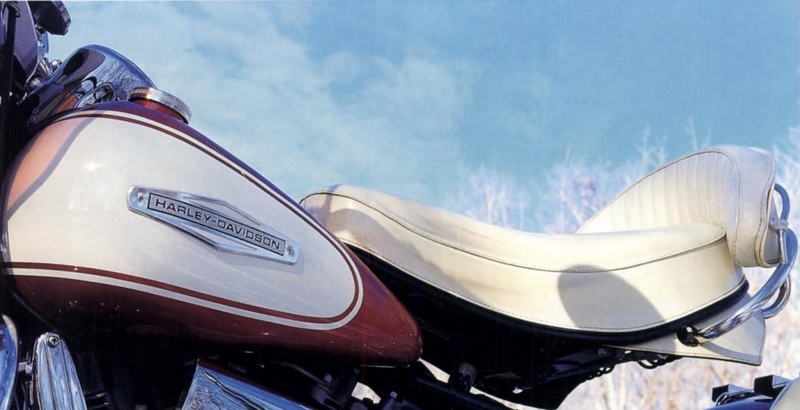 As was often the custom with the Colonel and instrument manufacturers that didn't pay for the privilege of advertising, the brand logo, in this case the Harley-Davidson name on the tank emblem, was taped over. 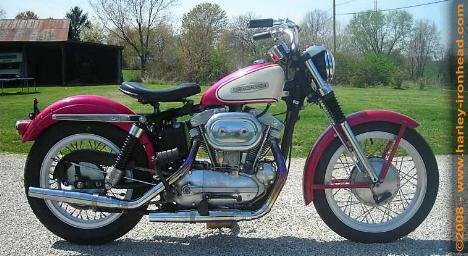 The 1967s were also the first year that employed a large oval air cleaner and the Tillotson diaphragm carburetor that was introduced on the Sportster in 1966. 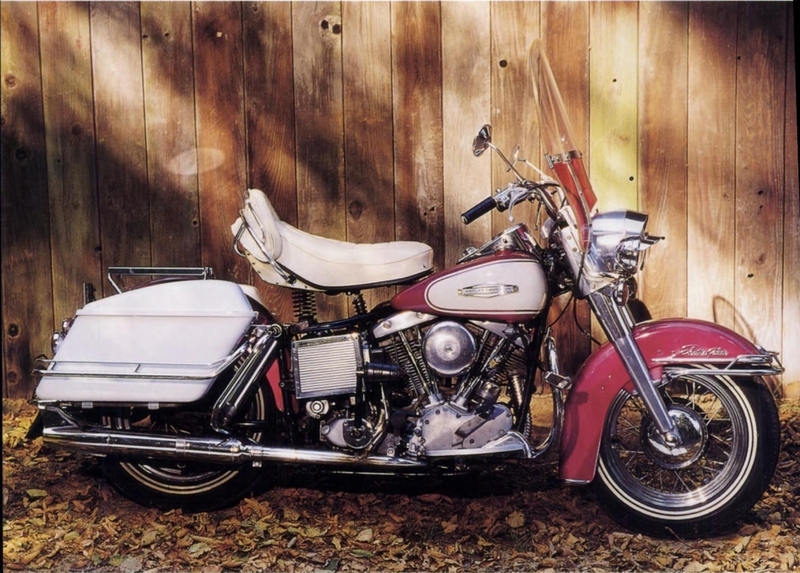 By 1968 the entire 12-volt electrical system had been redesigned for the Electra-Glide's new Homelite manufactured starters since the original electric starters were susceptible to water damage and corrosion. 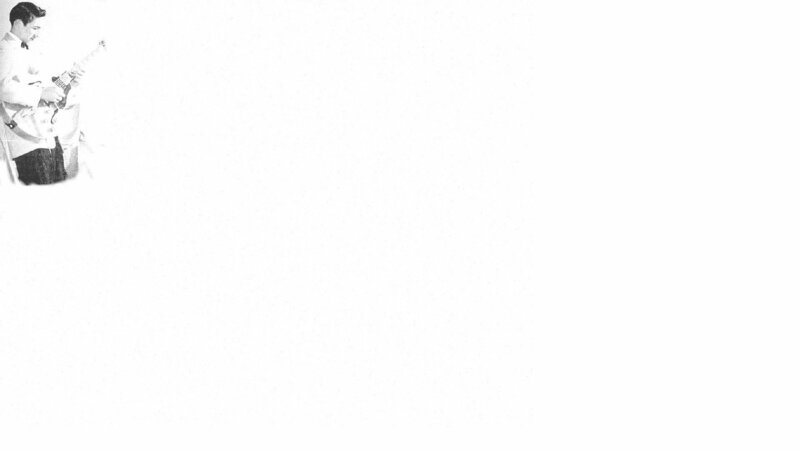 The rest of the electrics benefited as a result. 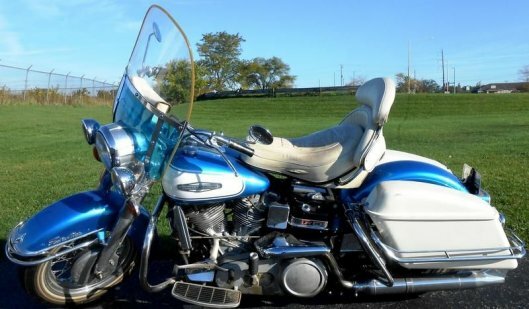 In short, the review given by Cycle World magazine in their July 1968 issue gave the Electra-Glide much accolades, concluding that H-D has hit a new high in design. They flawed them only for the antiquated and inferior front braking.5 This would not improve though until the addition of disc brakes in 1972.